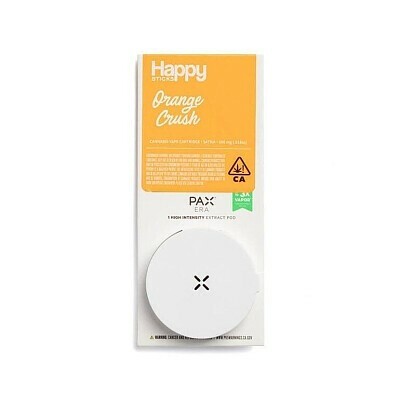 The Happy Sticks Orange Crush Pax Era Pod delivers the full spicy citrus flavor and and happy, energizing effects of its featured strain. The Pax brand of state-of-the-art vape technology guides users on a clear path to tangy nirvana. Take advantage of this joint venture between two cutting-edge vape brands for a well of creativity and sweet, citrusy goodness.